With no lack of restaurants and cafes popping up at newly opened Capitol Piazza, Palette Restaurant & Bar is definitely an exciting addition. A hybrid almost, it is the latest dining concept by BreadTalk Group in integrating a food atrium, restaurant and bar under one roof. With a specially curated list of ten speciality food brands around Asia, guests can look forward to a selection of more than 400 gourmet delicacies and street food items! While the restaurant looks like an upscale food atrium from the outset, expect to be greeted upon stepping through the entrance just as you would in any restaurant. You will then be usher to a table before being given an iPad to order your dishes! 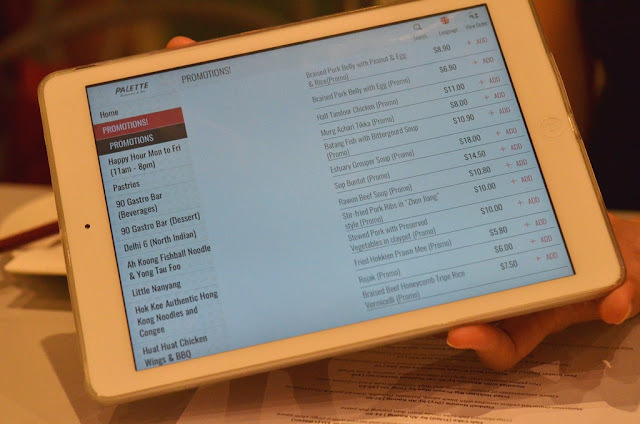 Yes, after a day of shopping, all you have to do is to put your fingers to work by browsing through the selection of dishes on the iPad and order it through at simple clicks. Your orders will be processed and the dishes sent right to your table! Of course, if you enjoy the experience of a food atrium, feel free to walk around and check out what each of the ten sub-restaurants within Palette has to offer and you could order it directly through them as well. 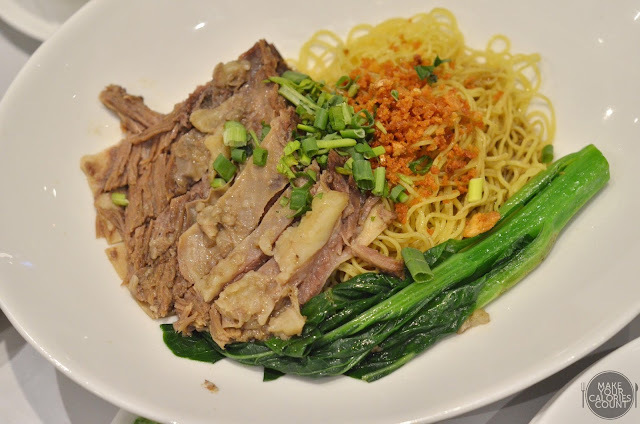 IndoChili brings traditional recipes from Padang, Bali and Java, offering a variety of Indo-Peranakan dishes on the menu. 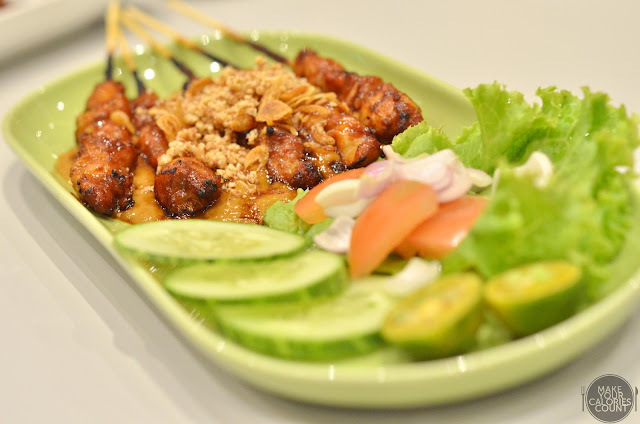 One of the signatures includes this dish, more commonly known as chicken satay for most Singaporeans. 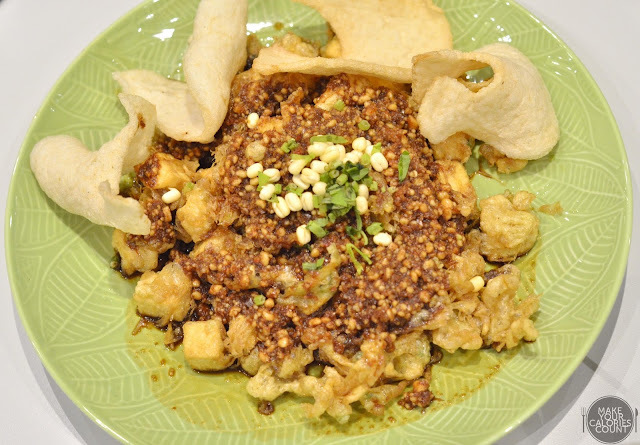 The addition of fried shallots together with the kecap manis (Indonesian sweet sauce) and peanut jam and crushed peanuts was a lethal combination that certainly made our calories count! The robust flavours and the variation in textures were delightful, not to mention the juicy and tender grilled chicken chunks. 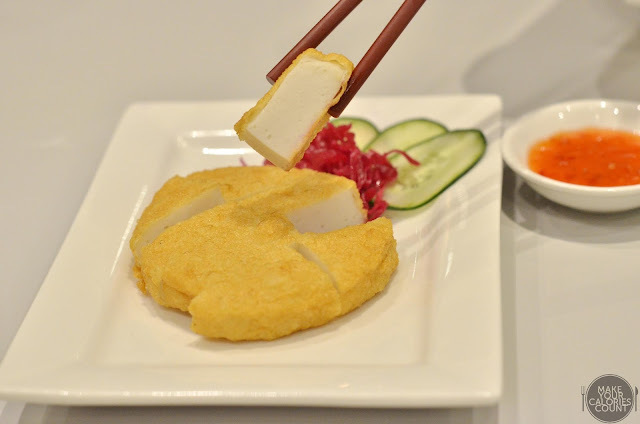 This was one of the more memorable dishes for us as the blocks of deep-fried tofu were coated with crispy fried egg and some crispy prawn crackers to complement. 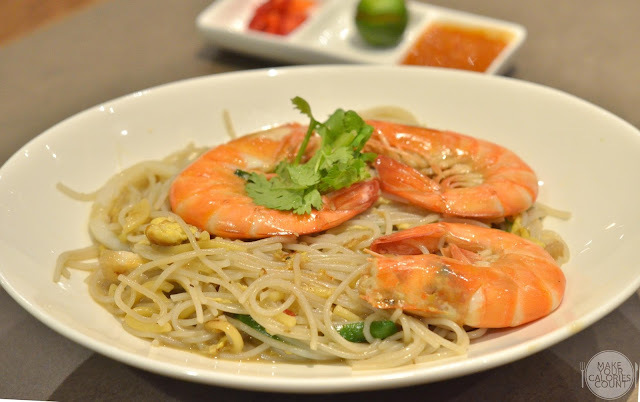 The crushed peanut sauce that drenched the dish carried a mild sweetness from the kecap manis which brought a balance to the otherwise savoury dish. 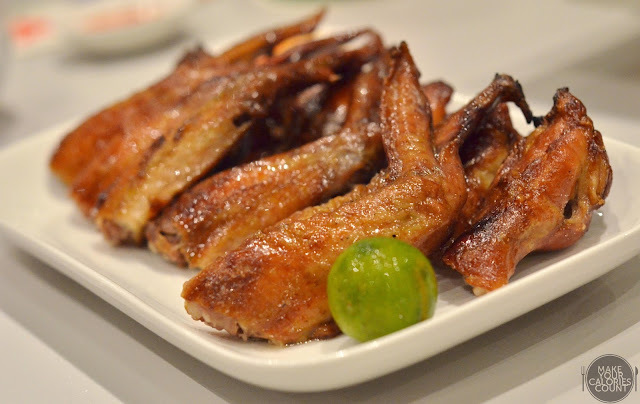 A local favourite for most, I doubt anyone would ever reject these beautifully tanned chicken wings that were first marinated with Chinese rose wine before being barbecued and served with a must-try zingy chilli sauce! Do give that lime a squeeze just for that extra tang! 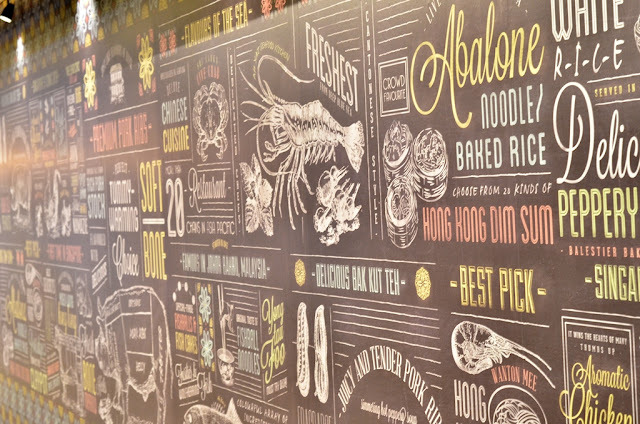 With a heritage that dates back to 1950 in Yuen Long, Hong Kong, Hok Kee is now a familiar household name there and this outlet in Singapore marks their first foray overseas. With constant experimentation and improvement over the six decades, this dish now comprises a gravy that is brewed from a complex mixture of 10 spices that includes cinnamon, cloves, pepper and star anise. The tender beef brisket has been braised for 2.5 hours in the blend of 10 spices before being served with homemade dried chilli oil. 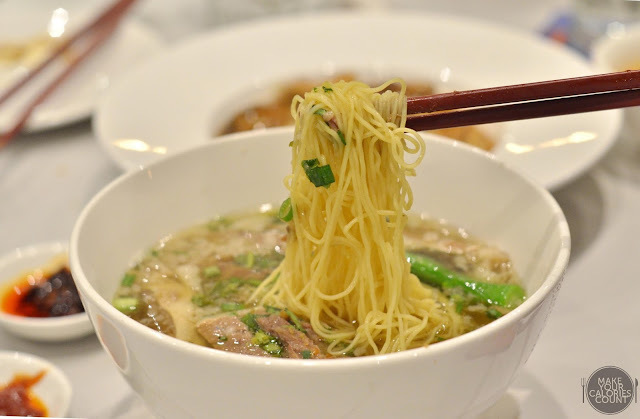 There is also the soup version though the dry version is a definite must-try in my opinion! These large handmade pork and shrimp wontons with Chinese ham are served in a clear prawn and pork broth that was light and fragrant. 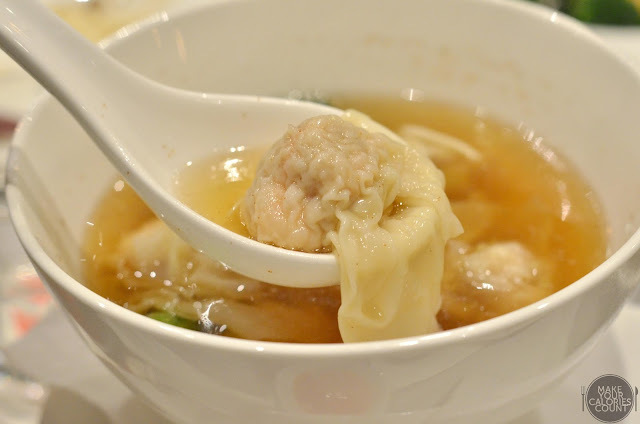 We liked that the wonton skin was not overly starchy and that the ingredients tasted fresh. 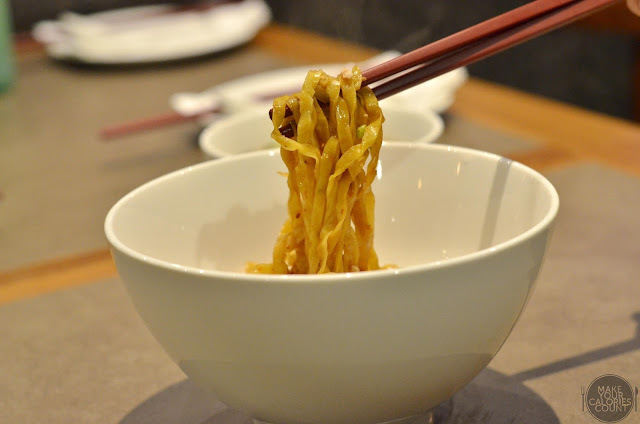 Another household name, this time from JB, every simple bowl of noodles comes complete with the signature fishballs, sliced fishcake, minced pork, fried shallots and noodles slicked with the gorgeous umami black sauce. One of the most distracting sights on the dish was the gorgeous plump prawns that were really fresh with a firm texture. If you like your noodles to be slightly firm or al dente, this would be it but for those with a preference for a more limp texture, this might not work. The additional sambal chilli on the side was also a must-try for an extra punch of bold flavours! 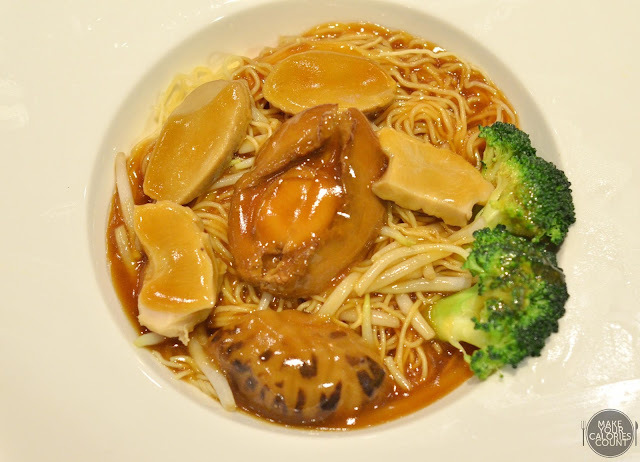 Ah Yat Seafood is no stranger to most Singaporeans with their prized abalone as a signature dish and having it with your noodles is surely a luxurious treat with a light yet savoury abalone sauce, and some perfectly cooked sea whelk to go along together with some Chinese mushrooms and greens. 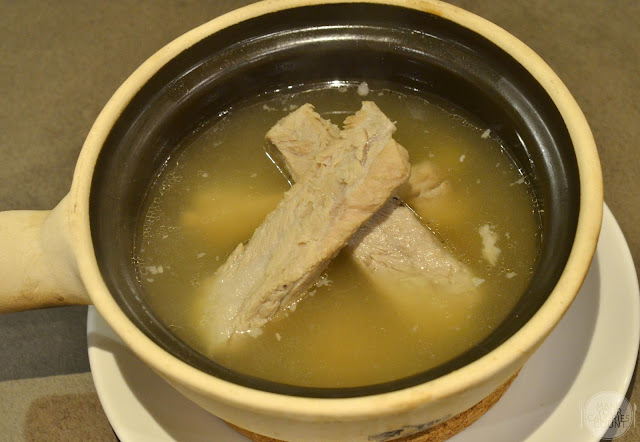 This is the classic Singapore-style bak kut teh, i.e. one that has a white pepper flavour and we enjoyed the meaty loin rib bones. 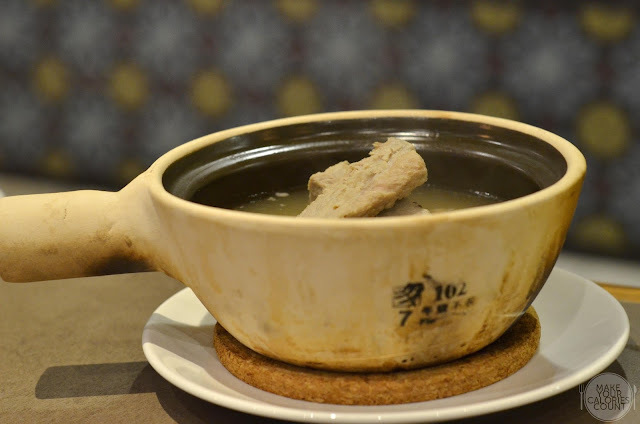 Unfortunately, given our demanding palette for bak kut teh (one of my favourite local dishes), I felt that it was a little too salty for my liking and lacked boldness in the white pepper heat. Nonetheless the freshness of the meat loins used stood out fondly. Another one of my favourite local delights - it was a good rendition though not the best in my opinion. 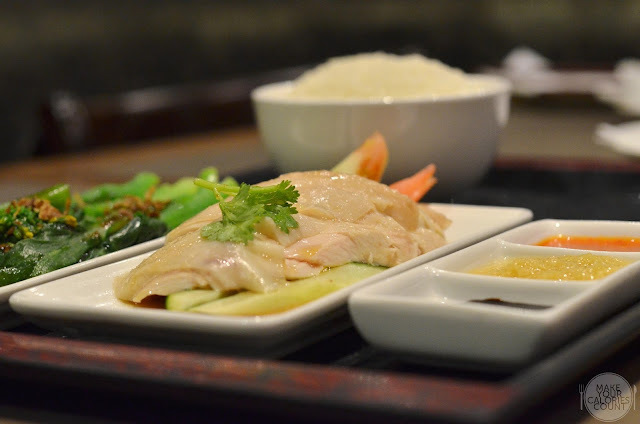 The chicken breast meat was a little stiff for my liking but we enjoyed the fragrance from the chicken rice and liked the fact that it was not overly greasy. 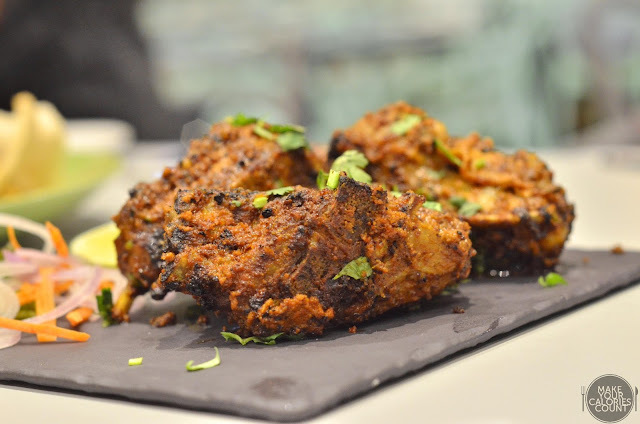 These beautiful Australian mutton cutlets were marinated with cinnamon and crusted with spices before being Tandoor-grilled to golden brown delicious while leaving the meat juicy on the inside. 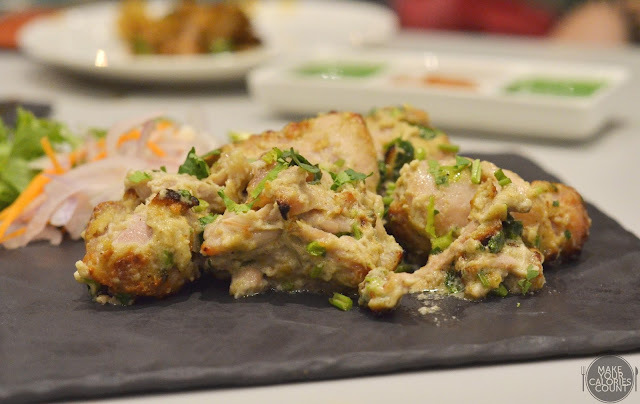 Expect chunks of boneless chicken that are ensconced in garlic and cashew nut cream sauce. Flavours are on the rich side and lovely when enjoyed with some of the dips on the side. The molten-state blend of mango ice cream, mango puree and coconut milk was a deadly concoction that kept me going back for more! 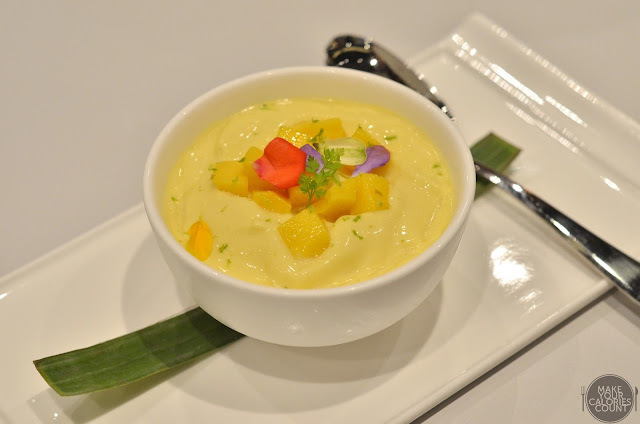 Definitely a must-try for all mango dessert lovers! Did I hear sinful calories and indulgence? 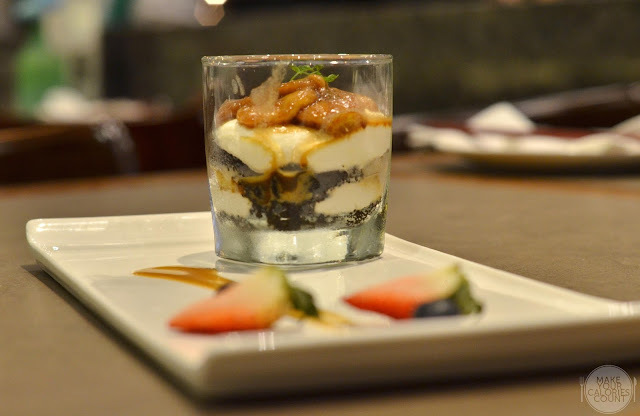 Yes, those two go hand-in-hand for this dessert that spots layers of mascarpone and crushed Oreos topped with fresh banana slices and glazed with butterscotch sauce. That is some level of sweetness for you. Like any restaurants, it is not complete without a proper bar or alcohol and Palette Restaurant is no exception. Each of their cocktails is dedicated to the history of Capitol Theatre in one way or other. 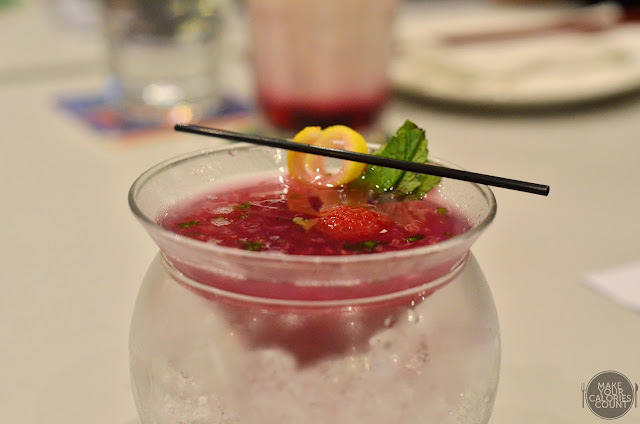 This brandy, pink guava and soda concoction saw a generous portion of the alcohol so while the price may seem to be on the high side, it was definitely worth a shot. 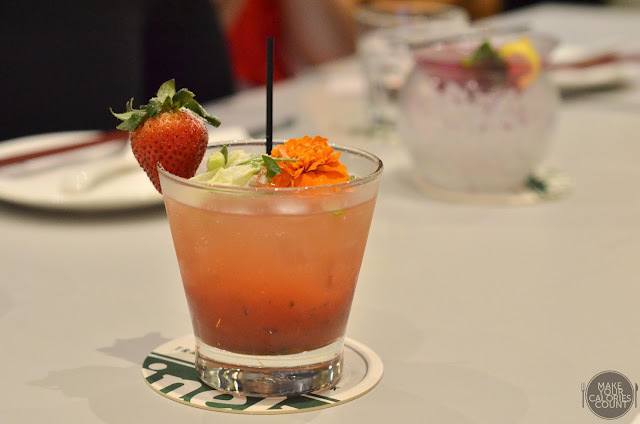 While the previous drink represented the cabaret screenings showed at Capitol, the title of this cocktail is named after the number of seats of the old Capitol Theatre. If you fancy something more fruity, this would bite with grapes and raspberry-infused gin, elderflower liqueur, lavender and lychee syrup! 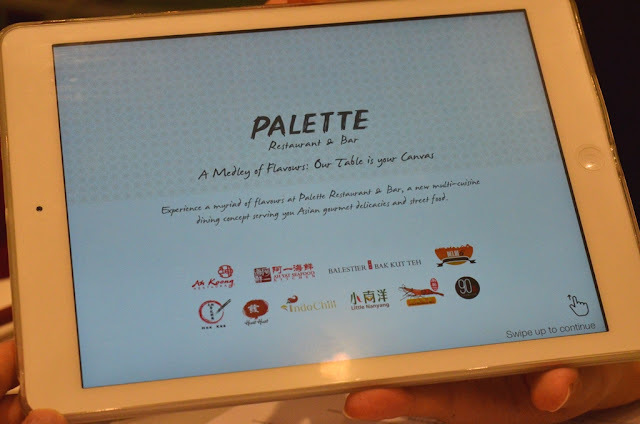 While some may think that Palette Restaurant & Bar is somewhat similar to your Food Republic, it is in my opinion quite a hybrid between that and Marche, well minus the card which you have to scan for your orders. The beauty of this place is that you get to enjoy everything at a few touches on the iPad and freshly prepared food would be served straight to your table! 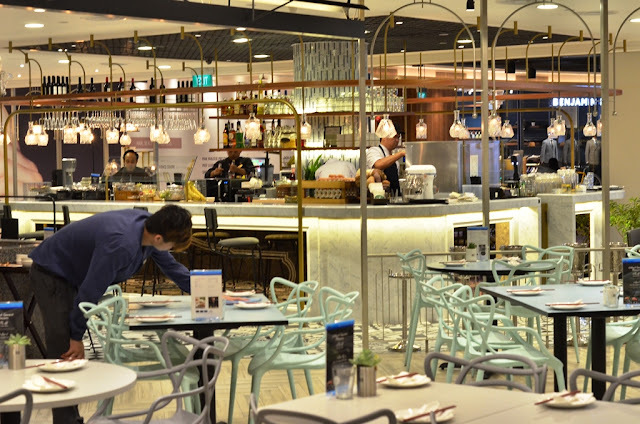 Given the good customer service from the moment you enter the restaurant, expect GST and service charge to be levied on your bill so this spells quite a difference for the price conscious when comparing it to food atriums.